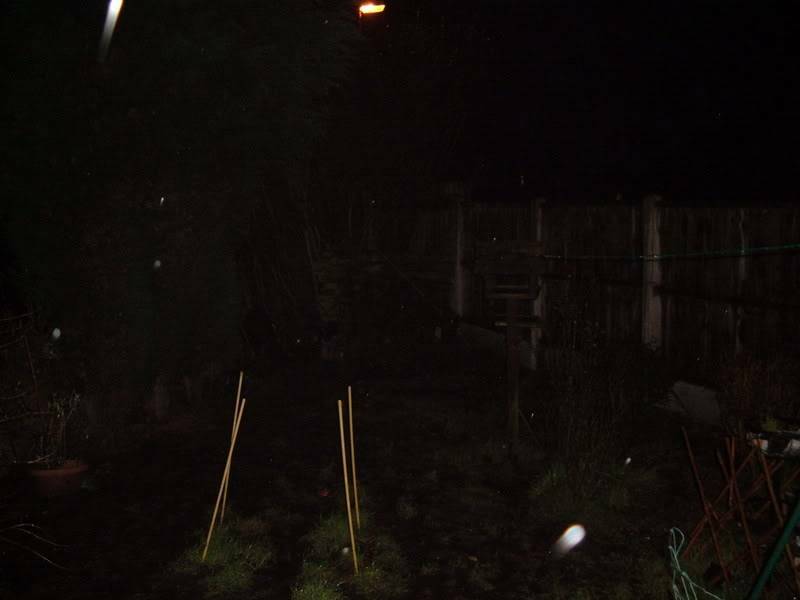 Hi all, I have many a photo of orbs (can not spell anomoly ), this one was taken the early hours of this morning (Kika needed to go out), I take photo's regular in the garden at night as this is when I catch strange things, however I would like your view's on this one. Yes it is a very large orb I admit but I am convinced it is one, what I would like to know is what are the lights shooting up in the distance?, what is the small mist just above the orb?, please ignore the orange street light . 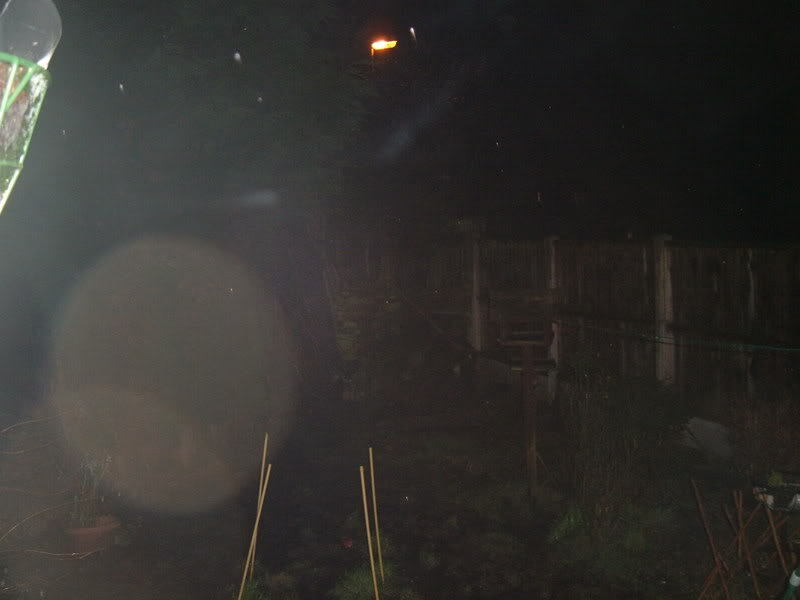 It is now 4yrs ago that my sister passed away and these orb's have appeared in my garden ever since, take a look at this one for now and let me know what you think, I do appreciate other people's opinions and views. Hi Viv and welcome back!! This is a really interesting photo due the the light in the background of this photo as you can see it moving. I will have to think about this one! Hi Karen, thanks for taking a look at this, I have several more with the same moving light's, they are coming up from the ground and just mid-air, really has me confused. Will post another or some more later. Silly question, but do you smoke? The only reason I ask is that your sister maybe joining you when you are most relaxed and looking up at the stars? Yep I do smoke Karen, however I have learnt the lesson not to smoke when taking photo's, as the smoke can drift in front of the camera, also you can not really hold the camera safely, so I do not smoke when taking photo's and not in the early hours of the morning anyway (took at about 3.23am). Still the light's but not orb or mist. Taken couple of second's after the the one above. These photos are really great!! I will see what else I get!! Thanks for your interest Karen, orb's have appeared in our garden for some time now, it would be nice to find out something about them. As for the little shooting light's, well I am confused about why they have started to dance around. Hi Sarasmum, looking forward to seeing your orb on site, they are one of my main interest's, just so amazing how they appear in one photo and then just vanish again, hope to see it on here soon. Hi Saras Mum, and Happy New Year!! I have seen the tape, Sara showed me on the last investigation, its very interesting, I think I said to Sara that it felt like a Nan?